What could be more exciting than counting down the days until the arrival of a new baby? Babies don't always arrive exactly on time of course, but every mom-to-be treasures that magic "due date." 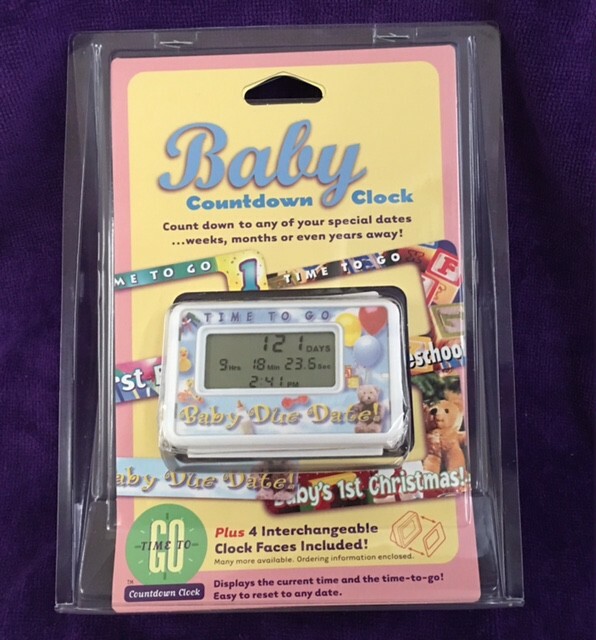 The Pregnancy Countdown Clock will give parents-to-be a speical reminder of the time left (days, hours, minutes, and seconds) until the big event. When the "birth-day" arrives the display will begin to flash and continue flashing for 24 hours, signaling a lifetime of joy to come! A growing family can use it to help a sibling count down the hard to wait days until a brother or sister is born. 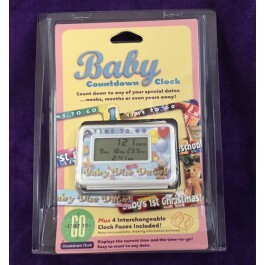 At the touch of a button, it can function as a regular time keeping clock with a very special history.